Eastern Europe – including Estonia – will see the fastest defence spending growth in the world in 2018, according to Jane’s Defense Budgets Report. Even though Estonia is spending over 2% of its GDP, Jane’s predicts the spending in the region as a whole will see the fastest defence spending growth as other countries are pursuing the goal to increase their defence spending to 2% of the GDP. Globally, defence spending is set to increase in 2018 and will reach its highest level since the end of the Cold War. According to the report, global defence spending will reach US$1.67 trillion in 2018 and will be overtaking the previous post-Cold War record of US$1.63 trillion in 2010. Western Europe is still emerging from a tough six-year period where defence spending was cut by 1% annually between 2009 and 2015. The trend has steadily reversed since then and regional defence spending is expected to increase by 1.3% in 2018, according to Jane’s. Russian defence spending fell for a second consecutive year in 2017 as Moscow continued to grapple with challenging economic and fiscal conditions. “The defence budget is now around 10% lower than its 2015 peak and is expected to be reduced by a further 5% next year. Russian military modernisation will continue but the cuts are impacting the pace of that process,” Craig Caffrey, the principal analyst and Jane’s, noted. The Jane’s Defense Budgets team produces the annual Jane’s Defense Budgets Report every December. The report examines and forecasts defence expenditure for 105 countries and captures 99% of global defence spending. 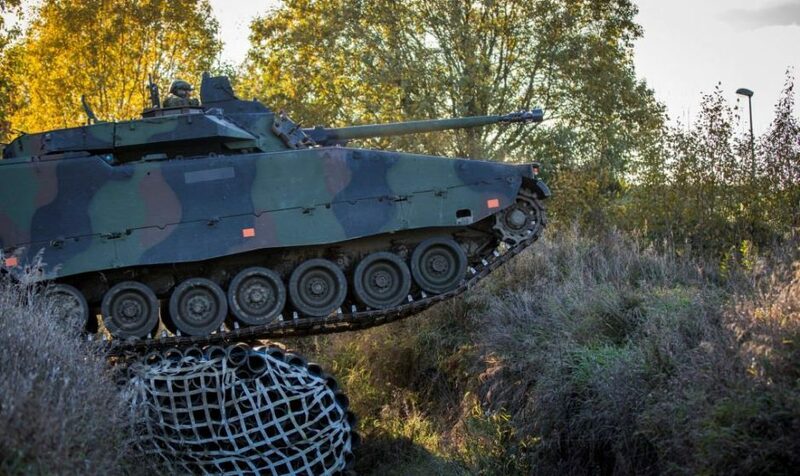 Cover: A CV90 infantry vehicle of the Estonian Defence Forces (the image is illustrative).